"The apostle of the poor"
Father Pedro Opeka is a Catholic religious born in 1948 in Buenos Aires, a family of Slovene origin who fled Yugoslavia. He arrived in 1970 as a missionary in Madagascar, in Vangaindrano, one of the most destitute regions of the southeast. He helps farmers to improve the cultivation of rice, cereals and coffee. It also creates groups of villagers and youth to help them build common projects and take control of their future. 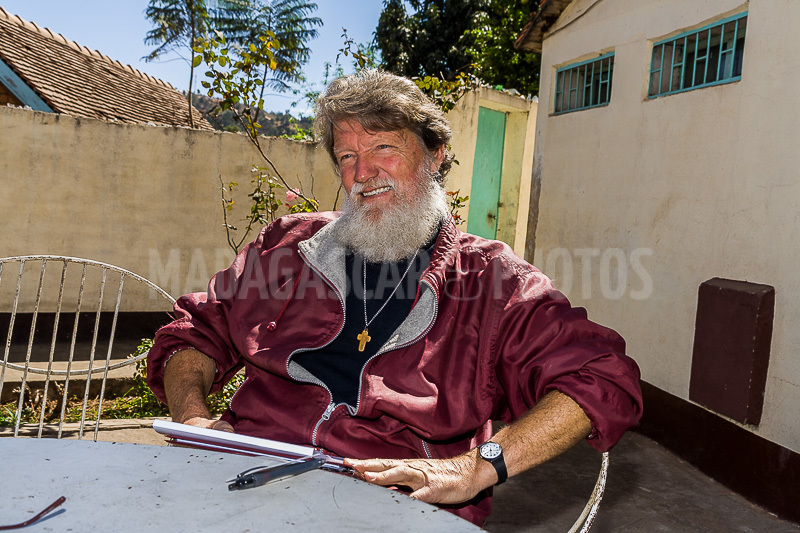 In 1989, after going with young seminarians on the hills of Antananarivo. He discovers Women, Men and Children wandering in the capital's dump, among dogs and pigs, waiting for the dumpsters to dump waste. 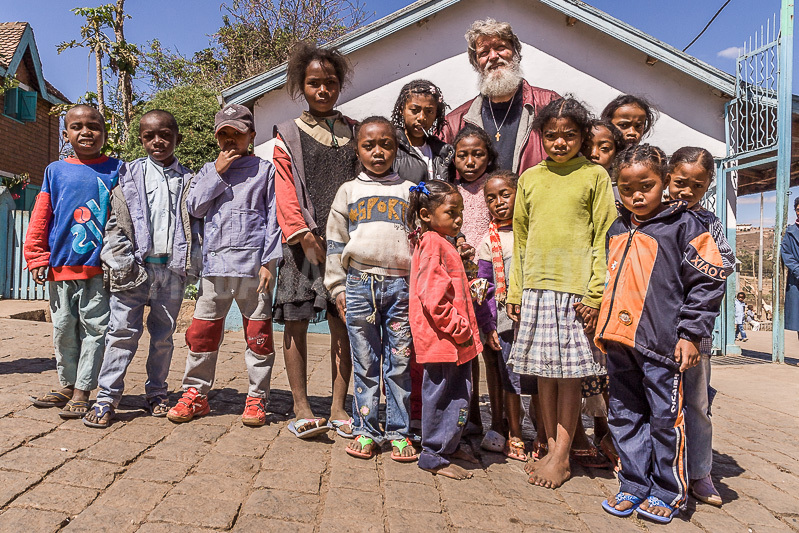 Father Pedro founded the association Akamasoa which means in Malagasy "The good friends". Its objective is to restore human dignity to the poorest through decent housing, which they themselves help to build, educate the children by providing them with paid work. In 27 years, the association has granted emergency aid to more than 34,000 people in distress. It welcomes 17,000 children, including 11,000 children enrolled in the 18 villages it has built. The Akamasoa association has built more than 3,000 brick houses, 324 classes in new schools, dispensaries, stadiums ... and provides a salary to more than 3,000 people (granite quarries, brick making, paving of squares, Streets and roads, masonry, carpentry, carpentry, metal construction, mechanics, canteens, flourishing, cleaning, arts and crafts, etc.) on several sites in Madagascar. Father Pedro fights to self-finance a part of his association and also finances his fight against poverty by traveling around the world to generate donations. Father Pedro was named Chevalier of the Legion of Honor in February 2008 and was awarded the International Prize of Cardinal Nguyen Van Thuan in the Vatican for his work in support of the rights of Man. Several thousand active members regularly support his action, he was even on the list of nominations for the Nobel Peace Prize in 2013, 2015 and 2016.